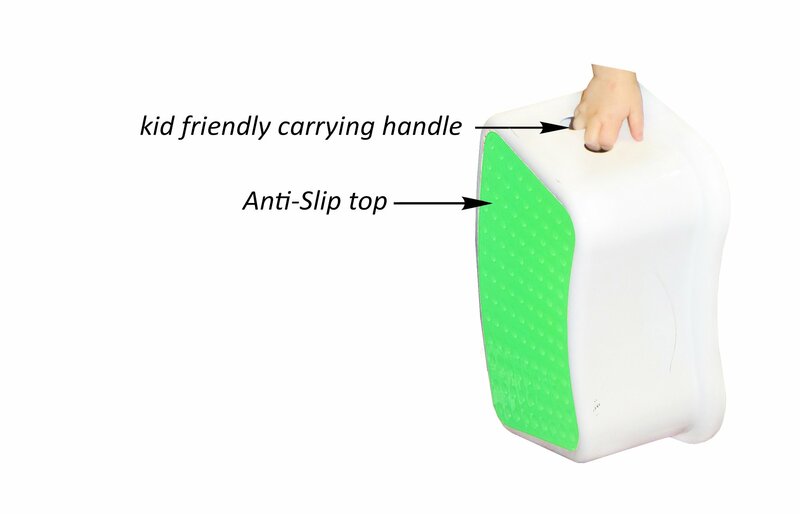 This “Kids Best Friend Take It Along Kids Green Stool” is perfect for kids and toddlers of all ages. It can and will support even older kids! It is perfect for what you need it, will serve your kids in reaching high places including a sink to wash his or her hands or to brushing teeth and especially for potty training. With the easy to wash off material it is made of and the non skid rubbers protecting it from all sides will allow it to become wet and still not slip or slide. These stools stack very nicely one on top of each other, so go ahead and buy this along with one of our other colors like Blue,Pink and Purple and it will serve the whole family at once and when they are done you just stack them nicely and they store beautifully. I would find this very useful as I a quite short and my cupboards are a bit too high for me to reach. 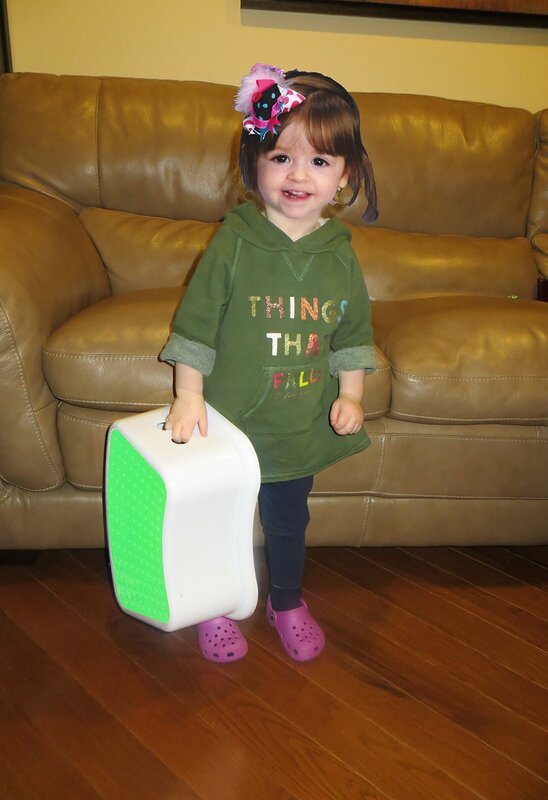 I love that it is lightweight, easy to move around and sturdy enough to be used by an adult in need of few extra inches to reach something. Good product. From $19.99 to $9.49 is not too bad, hopefully the price will go lower cuz I need one of these for my girls..
Not just for kids, for short people too. Making it easy and safer for kids to reach stuff is a good thing. their independance is helped by this product. It is well made and a recommend. 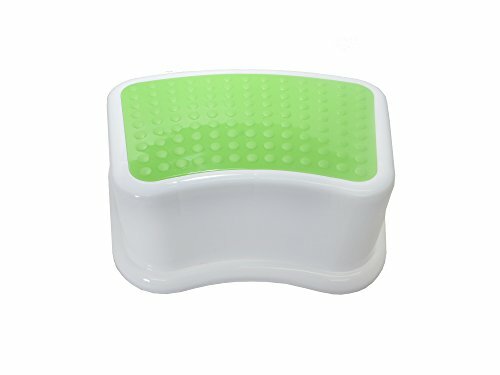 This is a good durable little stool easy clean up,good cost,but I use for myself have a problem with kids being able to reach things that r supposed to b outa reach.